Here’s a simple spicy little snack/starter from Gregg ‘beefy beefy mushrooms’ Wallace. 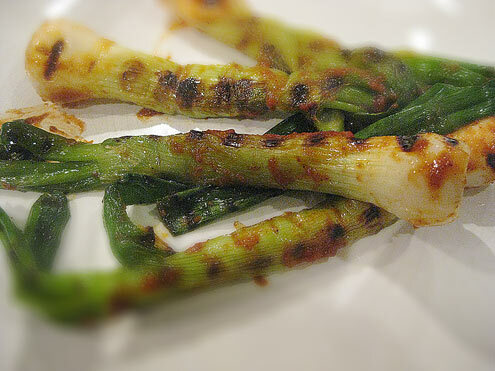 Trim and wash the spring onions and place in a bowl of boiling water for 4 minutes. Remove and dry with kitchen paper. 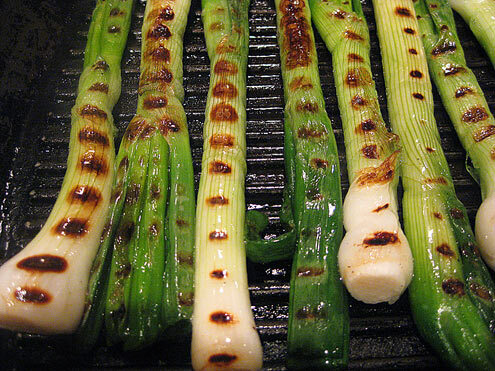 Place the onions on a hot griddle and brush with olive oil. Cook and rotate for a few minutes until striped. 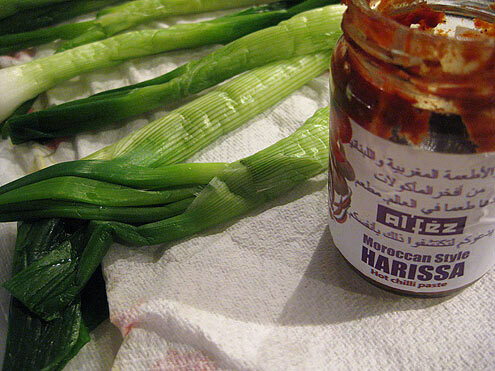 Toss in the harissa, season with rock salt if necessary and serve with the wedge of lemon. Drink: The last of the Berlin beer. Entertainment: ‘Big Night’ on DVD. Possibly one of the best omelette cooking scenes in the history of cinema…discuss. Simple, but amazingly delicious looking.